In our latest newsletter, we are highlighting the outstanding performance of Jonathan Bolbach and Mark LaBell, winners of SSOE’s Founder’s Award. 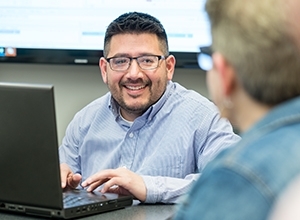 Their accomplishment — developing the AutoNavis software application — met two of the award’s key criteria: delivering exceptional value to clients by saving them time, trouble, and money and implementing an innovation that leads to improved processes and quality. Embracing technological advancements is one way to move the needle toward SSOE’s core goal of providing clients the highest level of value. Once a breakthrough tool becomes the norm among forward thinking users, however, they recognize its limitations. So it is that Navisworks®, while it adds tremendous functionality to coordinating and reviewing 3D modeling, does not eliminate the time-consuming tasks associated with it. In the best-case scenario, clash detection is run multiple times in the course of a project. That takes time, and therefore costs money, that not every project can afford. Navisworks is especially useful to the clash detection process by revealing areas where existing elements or different systems overlap and interfere with the installation of other elements. Detecting and resolving these clashes early in design is key to improving quality and controlling project costs. 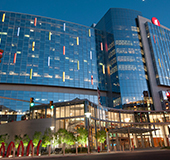 The reality: Navisworks presented significant benefits to projects but was underutilized. 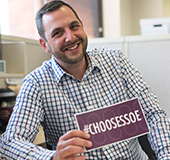 Rather than rely on commercial software developers to eliminate the obstacles, two SSOE colleagues decided that they would do it themselves. 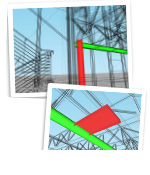 The reason: Navisworks is an outside software — it is not integrated into the actual modeling tools. Underutilization stemmed from the fact that viewing and running clash detection in Navisworks required time consuming preparation and exporting from the modeling software. The challenge: make clash detection faster, easier, and less tedious. By doing so, they could make this valuable tool more consistently available to projects by eliminating a cost barrier for smaller projects and a time barrier for larger projects. Jonathan (left, upper) and Mark (left, lower) teamed up to develop AutoNavis—a custom software application that greatly enhances the use of Navisworks and the clash detection process by auto-exporting models out of the modeling software and into Navisworks. It then performs the clash detection analysis and delivers actionable results directly to the appropriate team members. 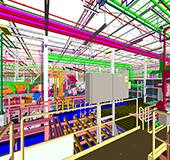 Recent add-ins to the software allow designers to quickly and efficiently review and coordinate clashes, all in real time, without needing to open the Navisworks models. The pair performed the extraordinary technical feat of automating these tedious, time-consuming tasks through a process that requires a one-time set up only, and then subsequently runs in the background. In addition, they created the software to work with multiple design platforms. The use of AutoNavis has increased exponentially since January 2015, and has become a staple for all new projects at SSOE. Additionally, Jonathan and Mark have added several features since the original rollout including 2D/3D drawing exports, plant isometric drawings, advanced printing, clash management, and reporting. 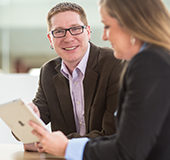 By creating its own applications, SSOE is taking a giant step toward delivering greater value to clients. AutoNavis quickly proved its value. Since SSOE’s rollout, AutoNavis has been run over 16,000 times. In the absence of the application, the same projects would have, conservatively, required manual clash detection on a minimum of 10% of those total runs. 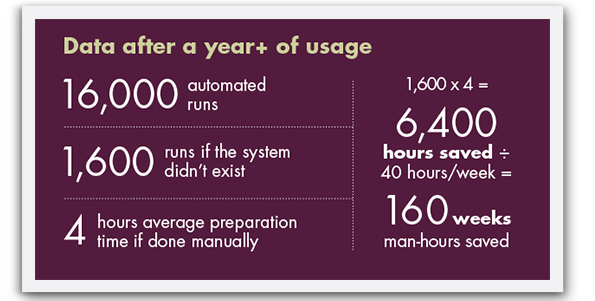 The most significant statistic may be the approximately 14,000 additional runs enabled by this software. Each run is an opportunity to uncover and remedy clashes early in the design process rather than later, thereby generating savings of time and money. 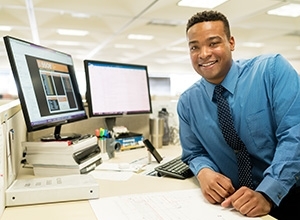 Click here for more information on SSOE’s design technology services. To read more features from SSOE Scenes, our recent mailer that offers a focused look at advances in design technology and VDC, visit www.ssoe.com/scenes.